The new year will be starting off with acticin, horror, and suspense movies in local theaters. In January 2018, the most talked about movies being released are The Maze Runner: Death Cure, Insidious: The Last Key, and The Commuter. The Maze Runner: Death Cure, will be released in theaters on January 26th. 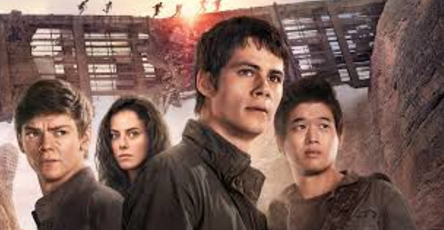 It is based on the third and final novel by in the The Maze Runner series. In their part of the looks the characters are on a dangerous mission to save their friends in the maze. The main cast in the movie is Dylan O’Brien, Kaya Scodelario, Thomas Sangster, Rosa Salazar, Ki Hong Lee, and Dexter Darden. Insidious: The Last Key will be released on January 5th. Insidious: The Last Key, is the fourth movie in this horror series of Insidious, about Dr. Elise Rainier, Lin Shaye, a parapsychologist looking into her own haunting family home. On January 12, The Commuter, will be released. The hour and forty five minute will be about Liam Neeson’s character who plays an insurance salesman that has to solve the puzzle of the hidden passenger that has a deadly plan. These three PG-13 movies will surely bring some adventure and scares to the theater.